PLYMOUTH TOWNSHIP - Take a step back into the past by visiting the Log Cabin Days this weekend, from 12-5 p.m. Saturday and Sunday, Sept. 8-9. The Log Cabin Days are held at Blakeslee Log Cabin, which is located at 441 Seven Hills Road, Plymouth Township, just off Route 11. Admission and parking are free. The Blakeslee Log Cabin was built in 1810 and is the oldest log cabin still on its foundation in the State of Ohio. The cabin is on the National Register of Historic Places. The cabin was built by John Blakeslee a year after he arrived from Connecticut in 1810. The log house has been home to three individual immigrant families since that first owner and his family settled in, according to records kept by the ACHS trustees. The Ashtabula County Historical Society, with the help of a grant from the Ashtabula Foundation and the Plymouth Township community, purchased the cabin in 1989 and maintains it. A few years ago, the society partnered with the Ashtabula County Joint Vocational School, now known as A-Tech, to build a bank-type barn in close proximity of the cabin. Creek stone was used to enhance the tall wood barn. During Log Cabin Days, guests will be able to tour the cabin and grounds. There will also be the festival’s famous bean soup being cooked over an open fire. As an added touch, many of the volunteer workers will be in costumes from the era. 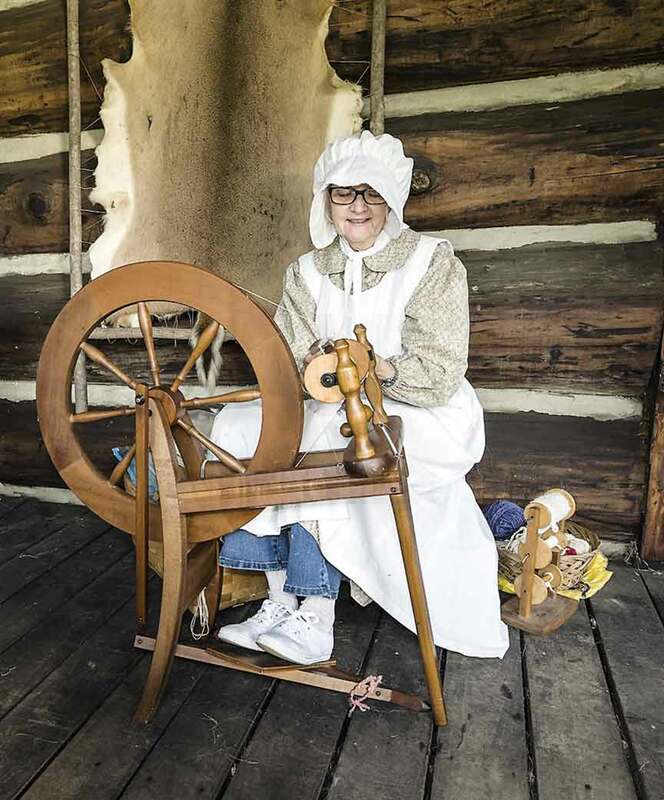 Watch old-fashioned craft demonstrations at the Log Cabin Days.